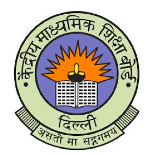 The Central Board of Secondary Education will be conducting the 11th Edition of Central Teacher Eligibility Test (CTET) on 16/09/2018 (Sunday) for a candidate to be eligible for appointment as a teacher for class I to VIII. Candidates can apply only On-Line for CTET SEPT- 2018 on CTET official website – www.ctet.nic.in . * Relaxation up to 5% in the qualifying marks in the minimum Educational Qualification for eligibility shall be allowed to the candidates belonging to reserved categories, such as SC/ST/OBC/Differently abled. Admit Card: The candidates may download Admit Card from CTET website w.e.f. 20-08-2018 onwards and appear for the examination at the given Centre. For latest updates, please visit CTET official website www.ctet.nic.in .